Do we expect too much of our ministers and MPs? On Monday evening, I accompanied a friend to see his Member of Parliament. He had gotten into trouble over a driving issue, and I had suggested he seeks his MP's help to appeal a decision by the Land Transport Authority. The Meet-the-People Session (MPS) for his constituency was on Monday, and we made our way down to Jurong West that evening. Those who have gone to MPS know the process is very much like visiting a busy doctor's clinic. You get a queue number. You wait for your queue number to be called. Then it's registration time and you give your particulars. You wait again to be called to see a case worker. Our case worker was a nice, soft-spoken, young woman. She asked some questions earnestly and typed an appeal. We are told to wait again. There's Gurmit Singh on television with the game show Don't Forget To Remember, to entertain constituents waiting their turn. Faster than I'd expected, my friend's name is called and we are told we can see the MP. There was a minor mistake in registration, and we were kept waiting a few more minutes. Then Dr Amy Khor came out to greet and welcome us. She was professional, polite and pleasant. She looked at the LTA penalty and exclaimed at its severity. She called up the case writer's draft appeal. She asked my friend a few sharp questions on the circumstances. She looked at the details of the correspondence on the issue. And she painstakingly edited the appeal, hammering at the keyboard. I looked at her from opposite the table of her MP's office, on which hung photos of events with constituents. I've met Dr Khor professionally several times over the years and seen her in action. She is always poised, well-dressed, well-coiffed, with a ready smile. That evening, her dress was a little rumpled, her make-up a trifle smudged. She still looked well put together, but tired. I hadn't introduced myself by name. I had said hello and shaken her hand, just as a friend accompanying a constituent. As a journalist, I knew she had been in Parliament that afternoon. As Senior Minister of State for the Environment and Water Resources, she had addressed questions on the use of styrofoam packaging in hawker centres. She finished editing the appeal letter and explained what she had written. She had dark lines under her eyes, but when we thanked her sincerely, she perked up visibly. The exchange took about 10 minutes. It was close to 10pm when we left, and there were still more cases she had to attend to. My friend said he hadn't realised how hard MPs worked and said he would vote for her if she stood for election again. Depending on or regardless of how the appeal went? I asked. My friend is not a fan of the People's Action Party and had agreed to see his MP, I think mainly because I had promised to accompany him. Even then, he said, "Regardless." 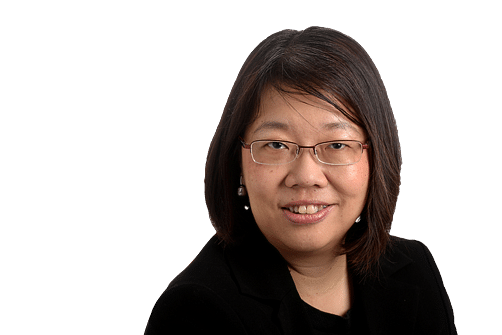 I got to thinking of Dr Khor and how hard MPs worked, when news broke on Thursday evening that Finance Minister Heng Swee Keat had collapsed from a stroke during a Cabinet meeting in the afternoon, and had been rushed to hospital. The Prime Minister's Office statement said he "had a sudden stroke due to an aneurysm, which is a localised weakening of a blood vessel. He underwent initial neurosurgery to relieve pressure in his brain due to the bleeding." The surgery was reportedly successful in closing off the aneurysm to block further bleeding and Mr Heng was moved to the Intensive Care Unit. His Cabinet colleague, Law and Home Affairs Minister K. Shanmugam, wrote on Facebook that he had been working closely with Mr Heng on a number of things. "I could see that he was very tired. I have been telling him that he was overworking so much that it will affect his health. "He was carrying an incredible load, handling the Finance Ministry, various important projects, including SG50, and the Committee for Future Economy - this Committee has the crucial task of charting our economic future." I should add at this point that we can't really tell what the cause of Mr Heng's collapse is. It is sometimes hurtful to the very sick and their family members, to suggest that their choice to work hard had brought about their own sickness. This is tantamount to blaming the victim, no matter how well-intentioned. Instead, doctors will drill down into the actual risk factors. The Mayo Clinic website does not list overwork as a risk factor for brain aneurysm. It cites family history and genetic factors as among the risks present at birth. Other factors are older age, smoking, high blood pressure (hypertension), hardening of the arteries (arteriosclerosis), drug abuse, head injury, heavy alcohol consumption, certain blood infections. Still, most of us ordinary folks tend to think that working too hard and dealing with too much stress, are debilitating to health. Last year, Mr Lee Yi Shyan said he had decided to step down from his office-holder position to return to the backbench. "Many of my friends have asked about my health and it is true that I was hospitalised for a mini-stroke in May this year," Mr Lee said in September last year on his last day as Senior Minister of State for Trade and Industry and National Development. He said he took their advice to "change gear a little bit" by deciding to "step back and serve in a different way". In 2010, then-Health Minister Khaw Boon Wan had coronary artery bypass surgery. This got me wondering: do we demand too much of our ministers and MPs? In the past, political leaders had to be both policy wonks (masters of the minutiae of policies) and leaders (who can rustle up ground support for change). That already required two sets of contrasting skills: intellectual ability and a high emotional intelligence quotient to be able to relate to, and rally, people. On top of those two sets of skills, the age of social media and the peculiarities of Singapore's political landscape require ministers here to be many more things. We want ministers to be leaders, yet likeable. They have to be able to relate to the CEO and the cleaner with equal sincerity and warmth. We go to MPs with issues that are policy-related, or municipal, or personal. Those seeking a job/a flat/a waiver for a fine/even a spouse (marrying a foreigner) or child (adoption), may camp out at a Meet-the-People Session to seek the MP's help. We want the MP to be chief social worker, unrolling family services, help for the low-income, help for the elderly, for at-risk kids. We want an MP to be a brilliant legislator, to make dazzling speeches in Parliament. We expect office-holders to know the ins and outs of their ministry's policies, to have at their fingertips arcane figures, and to be able to recount stirring tales of inspiration at will. In the age of social media, they are on view 24/7. Every utterance, appearance, is captured, shared and scrutinised. We want them to be available and accessible - we send e-mail to their mailbox or post Facebook comments on their page and expect a personal reply. Fast. And, at the same time, we expect them to find time to cultivate family ties, to have stable, happy marriages (if married) and to bring up well-behaved children. As constituents, we want to see them around our neighbourhood. As citizens, we want them to engage us in dialogue, in conversations, to consult widely on some policies, yet be decisive and act quickly on others. And oh, how swift we often are to blame, to castigate, to mock, when a politician speaks, looks or behaves in a manner that it is off key or disagreeable, and how reluctant we can be to forgive and overlook mistakes. It all adds up to a very difficult environment in which to be a minister or MP: under constant, intense scrutiny by a demanding, complaining electorate. I don't know how they do it, frankly, these politicians. I sometimes think we voters should moderate our expectations, and not expect our MPs and ministers to do so much, and be everywhere. I also think that citizens should also cut them some slack and not expect them to be word perfect and in control, while being on show all the time. If you asked me, I would think that MPs and ministers can cut down on the number of VIP appearances they make at events. They also don't need to conduct so many briefings personally, or engage with people so intensely. That's what delegation is for; and the junior ministers, even the permanent secretaries and deputy secretaries, should just step up. The one thing I would be loath for them to give up is the Meet-the-People Session. It is constituents' direct channel to the powers-that-be, and MPs and ministers' direct channel to constituents. Face to face, across a table, you realise, this is not a VIP on stage or just a talking head on television; it is a person doing his or her best. And they can be fatigued, and they have feelings, and they can be hurt.